WHAT??? Piracy Is Costing $12 Billion! As if you non-seafaring people out there needed convincing, the latest figures via The Times has piracy costing the global economy $12 billion a year. In the same week that Dutch marines kill two Somalia pirates, a London law firm which specialises in the field, was quoted as saying “matters are deteriorating at every level”. Whilst our sailing friends are well aware of the dangers of piracy, it’s not until one reads the numbers that the problem of piracy is put into perspective for the rest of us. It is truly a global concern that affects everyone. 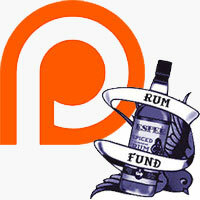 In a future post we’ll be putting together a couple of ideas on how you can help support anti-piracy causes. Meanwhile, read about the latest figures here. We’d like to hear your views on the subject too. Today all four crew of sailing yacht ‘Quest’ were killed. Apparently the US Navy ‘responded to gunfire’ aboard Quest off the coast of Oman, which it had been shadowing since the boat was taken on Friday. Our thoughts go out to Scott and Jean’s family and friends. They were here just a few weeks ago in Cochin Marina, India. 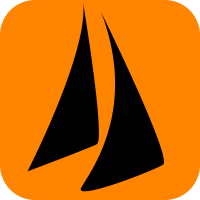 There is already much debate on the sailing forums as to what actually happened and what will happen next. Only time will tell. One wonders if we will ever get to the bottom of what really occured aboard that ill-fated yacht. In the meantime I have removed my previous scrutiny of passage planning into the Indian Ocean out of respect. The fact remains that this is a sad day for liveaboard sailors around the world, a sad day for our freedom and a sad day for the worsening situation both on the waters of the Indian Ocean and in Somalia. The Chandlers Are Free – So Where Does This Leave Us? What fantastic news that the Chandlers have been freed after 388 days of captivity by pirates in Somalia. Our thoughts go out to their family and friends. The last year must have been very difficult so now it is time to celebrate their freedom and give them time to recuperate from what must have been a harrowing ordeal. But what now? Where does this leave the rest of us? Has paying the ransom actually made the situation worse?